The quartet of videos were released on Tuesday afternoon, following the same style as other iPhone videos published to the channel over the last two weeks. Each video lasts just 15 seconds, but provides a quick illustration of how each feature functions. The four videos are titled "A chip that lets you work and play faster," "Find your missing devices," Send and receive money through iMessage with Apple Pay on iPhone," and "Have two phone numbers on the same phone with Dual SIM for iPhone." Apple frequently places video guides to functions and features of its hardware on its YouTube channels. Recently the Apple website launched a new features page that aims to provide quick overviews of key features, which is similar in concept to the recent videos. In "A chip that lets you work and play faster," Apple's highlighting the use of the A12 Bionic chip used in the iPhone XS, iPhone XS Max, and iPhone XR. 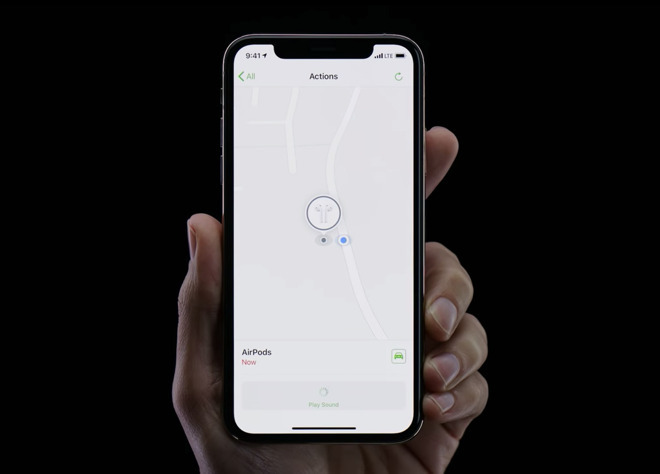 "Find a missing device" gives a brief overview of the Find my iPhone app which can be used to rediscover other missing items, such as AirPods. "Send and receive money through iMessage with Apple Pay on iPhone" quickly offers the steps required to use Apple Pay Cash to pay a contact. The last video, "Have two phone numbers on iPhone," shows how to switch between primary and secondary lines in the dialer app. The current generation of iPhones have the ability to use a traditional SIM card alongside an eSIM, enabling two lines to be used through a single device. I still haven't gotten ApplePay working. (My Credit Union has no interest in working with it, nor do my MC or VISA). Eesh. Tell them to get with the program and get a better credit union?